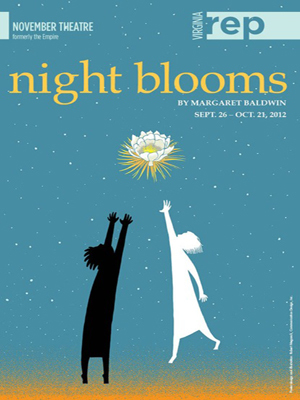 Margaret Baldwin's Night Blooms, produced by Virginia Repertory Theatre and directed by Bruce Miller, opened September 28th at the Sara Belle and Neil November Theatre (formerly the Empire) in downtown Richmond. Margaret sits down with Richmond Virginia's Channel 6 to discuss Night Blooms, running at Virginia Rep September 28 through October 21st. "Weaves family folklore and social history with poetic intensity and unexpected vividness." In 1965 Selma, Alabama, a rare bloom comes to life on the porch as an historic movement marches forward in the streets. And in the Stafford home, an unexpected visitor changes the lives of two families forever, proving that personal ties are more intricate than politics, and that true social change demands love, humor, and grace. First produced by Horizon Theatre Company in Atlanta, Night Blooms earned Margaret the 2011 Gene-Gabriel Moore Playwriting Award and was named one of 2010’s top plays by the Atlanta Journal Constitution and ArtsATL.com. In 1965 Selma, Alabama, a rare bloom comes to life on the porch as an historic movement marches forward in the streets. And in the Stafford home, an unexpected visitor changes the lives of two families forever, proving that personal ties are more intricate than politics, and that true social change demands love, humor, and grace. Night Blooms is Baldwin’s attempt to make sense of her own family story within the big story of history. It’s a play about how families face and live through change, and how change forces us to see the world with different eyes. Developed and first produced by Horizon Theatre Company in Atlanta, Night Blooms earned Baldwin the 2011 Gene Gabriel Moore Playwriting Award for best new play by an Atlanta Playwright. "Assume nothing. Notice everything. Make something... happen." Playwright of Night Blooms, Margaret Baldwin, shares her creative process while dealing with questions about race, identity and human rights. Thank you to Definition 6 for providing in-kind video editing services for TEDxAtlanta. Our tiny hero battles an army of giants, a courtly villain, and a conniving queen to win the love of the brainy princess (and budding alchemist) Huncamunca. With the help of a trio of fools and the wizard who gave him life, Tom comes to learn that true greatness lies within. 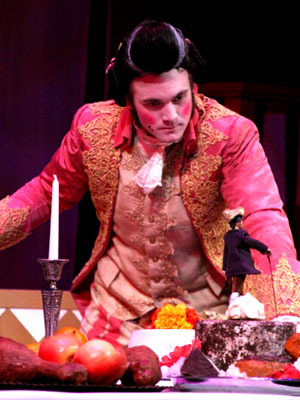 First commissioned and produced in 2008 by Georgia Shakespeare for its Family Classics series, Baldwin’s Tom Thumb the Great puts contemporary, family-friendly twists on an 18th century satire by Henry Fielding. 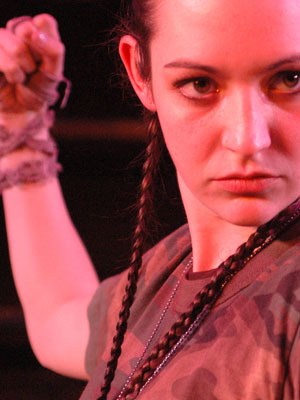 Commissioned and produced by the KSU Department of Theatre and Performance Studies (2005), Roland’s Song: A War Story, collides Song of Roland, a medieval French epic war poem with the stories of contemporary veterans. Baldwin and student ensemble members gathered the stories from interviews with veterans among their families and friends. Baldwin worked with the students to adapt these interviews and create dialectic with the epic story of war. Roland’s Song questions what it means to be a soldier—and a hero—in today’s world. You Always Go Home interweaves the stories of these Kenyans living in diaspora with traditional folk tales from their families and communities. 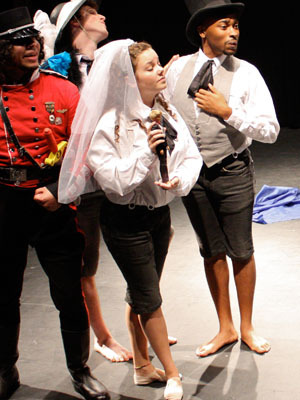 Like most of Baldwin’s “Plays that Teach,” You Always Go Home was developed in collaboration with students and colleagues and produced by the KSU Department of Theatre and Performance Studies (2006). Baldwin and co-director/dramaturg Karen Robinson built this ethnographic theatre work based on interviews with Kenyans living in the Atlanta and KSU communities. 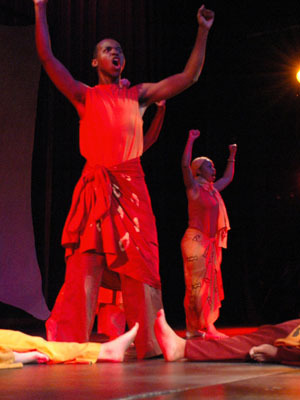 The play was featured at the International Conference of the Role of the Kenyan Diaspora on Kenya’s Development (2007). Great Aunt Salt is solid, family, traditional Old South. Her niece Louise is restless, creative, independent New South. Their two worlds collide with humor and heart when Louise embarks on a weekend visit to interview her Great Aunt and recapture the comfort and inspiration of a childhood summer she spent there. Over iced tea, butterbeans and Madame Butterfly, the armor of the interview cracks and the women discover the surprising ties that bind them. This empowering, intergenerational story reveals two tenacious Southern women navigating the passages of life. 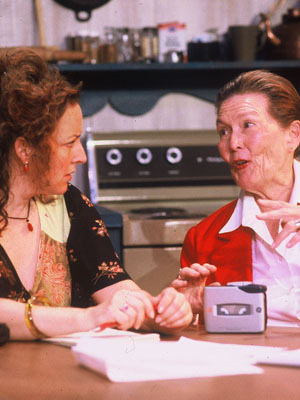 Her Little House was one of seven plays in the nation to receive the 2004 AT&T: Onstage Award for the world premiere of contemporary theatre. Alice wants to be Queen, but she has join giant chess game in the Wonderglass world in order to get there. Follow her journey to the Eighth Square as Alice encounters (among others), a grinning cat, a jabberwocky, formidable queens, tweedling brothers (Dum and Dee), and—of course—a mad tea party. She learns along the way to believe in impossible things to find life’s wonder within her own heart. 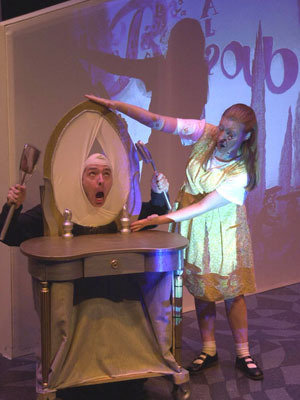 Baldwin's whimsical adaptation of Lewis Carroll's Alice in Wonderland and Through the Lookingglass was hailed as "A tea party of words; treacle for all ages" by the Atlanta Journal-Constitution. Monkey—born of Heaven and earth—has the perfect life on the Mountain of Flowers and Fruit. When he bursts through to the other side of the Magic Waterfall, he earns the title of King—and the attention of the Jade Emperor, ruler of Heaven. But that’s not enough for Monkey. Follow Chinese folklore’s favorite trickster as he cultivates his supernatural powers, finds his magic cudgel, and steals the immortal peaches by outwitting the Jade Emperor and all the bureaucrats of Heaven. Monkey King is Baldwin’s contemporary adaptation of the 16th Century Chinese folk novel Journey to the West by Wu Cheng’en. Baldwin infuses this epic tale of Monkey’s journey to enlightenment with contemporary situations and witty dialogue that capture the playful, rebellious spirit of the classic tale. 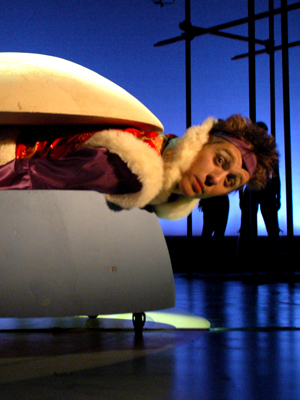 First directed by Karen Robinson and choreographed by Ivan Pulinkala, Monkey King was commissioned and produced by the KSU Department of Theatre and Performance Studies. In 2005 Monkey King toured with a student ensemble to China where it was featured at the Shanghai Theatre Academy’s 60th Anniversary Celebration.